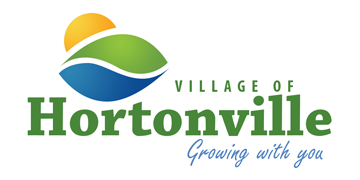 There are many events held in the Village of Hortonville during any given year. Some of these events are sponsored by the Village but many of these events are sponsored by other groups that work within the Village. This section of the website is for the website visitor to find out what events may be coming up and get information on those events. To find information about an event please see the listings below. Lutheran Social Services is offering a new transportation service for Hortonville area seniors or individuals with a disability. A driver and van will be available on Wednesdays from 8 a.m. to 4 p.m. to provide rides locally or into the Appleton Fox Cities area for medical appointments, shopping, etc. Rides can start at your home or our Municipal Services Center at 531 N. Nash St.
Each trip costs $3 and all rides need to be booked by calling Making the Ride Happen at 920-225-1740 between 8 a.m and 4:30 p.m.
Click here to see the flyer for this service! This program meets the 4th Wednesday of each month from 1:30 p.m. to 2:30 p.m. at Mosquito Hill Nature Preserve near New London. Come alone or bring the person you care for with you. Foot care clinics given by Valley VNA Senior Services are taking place at the Pinewood Apartments on John St. in Hortonville. The cost is $24 per appointment. Click here to see the flyer for the clinics and see what is included and how to schedule your appointment! Come help us celebrate anyone's birthday every third Monday of the month. The parties are held at the Community Center in the Municipal Services Center at 531 N. Nash St. from 1:00 p.m. to 4:00 p.m.
From the amount of laughter coming from the parties it sounds like all are having a great time! Seniors gather the first Monday of each month for a pot luck gathering at the Community Center in the Municipal Services Center at 531 N. Nash St. from 11:00 a.m. to 1: p.m.
Bring a dish to pass if you can, otherwise just come and enjoy. Good food and games or cards.